AFP-IC offers many benefits to its members. One of the benefits includes the opportunity to receive a scholarship to continue your education in the fundraising sector, attend one of our events, and receive a new member discount on your first year membership. Apply for a scholarship to attend the Spring Conference at no charge. This scholarship is available to all AFP-IC members, regardless of budget, to ensure that all members have the opportunity to attend the conference. If you have questions regarding the scholarship, please contact Stacy Helmuth at shelmuth@themindtrust.org. 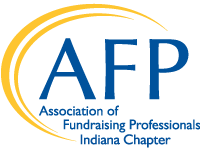 This scholarship covers $50 of the membership fee for new members to join the AFP Indiana Chapter. Applicants must be first-time members and full-time fundraisers. There are 10 available scholarships that are awarded on a first-come, first serve basis. Click here for the scholarship application. Please note that this application does not require a letter of recommendation. Recipients will receive a coupon to submit with the AFP Membership discount in order to receive the $50 discount. Applicants must live in the state of Indiana and be engaged in the practice or study of philanthropy. Applicants must be a current member of AFP-IC. Organizations may be awarded a Spring Conference scholarship in addition to AFP International Conference scholarship or Chapter scholarship. A maximum of one Chapter, Chamberlain or International Conference scholarship per year, notwithstanding the amount of AFP-IC members in that organization. Organizations/individuals who have received scholarship funds for two consecutive years are not eligible in the third year.